What have we been up too?!? Ever wonder what happens at Camp Esquagama once the final camp song is sung at the closing circle? Well, here are some of the fun activities that have been going on this fall! This fall the Boy Scouts of America Voyager Council based in Hermantown, MN held their Wood Badge Adult Leadership Program. 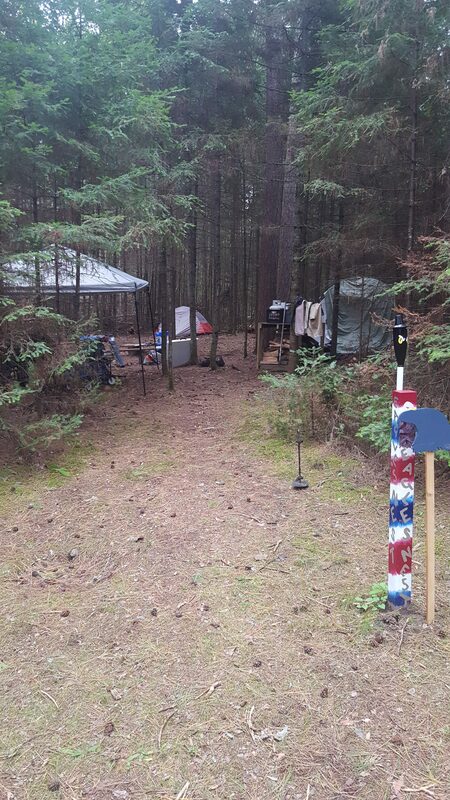 Spending 2 full weekends learning how to be a great leader, they contributed to a cumulative 200 hours of service work at helping clear space at our cabin campfire sites on the nature trail! They helped remove fallen trees and debris helping reduce the amount of logs on the ground as well as space for campsites! Local churches and other organizations have found that September and October are the perfect time of year to enjoy their youth retreats and full day workshops at Camp Esquagama. Learning new skills, watching the colors of the leaves change, and playing the final games of Gaga ball before the snow comes. The fall isn’t the only time of year for a great weekend. With the winter season, youth groups and ski teams have enjoyed a day of skiing and tubing at nearby Giants Ridge and returning to a warm meal and fire back at Camp Esquagama. We were honored to have 6 AmeriCorp NCCC members representing Maple Team 1 join us at the end of October for 2 full weeks of service work. 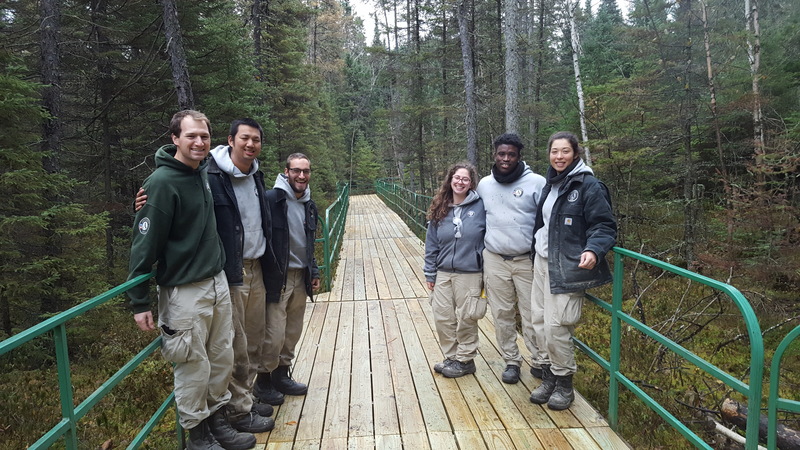 They helped us restore the boardwalk on the nature trail, remove fallen tree debris from wind storms, restore the deck tables, and much more. We are excited to work with future AmeriCorp NCCC Teams, but we will always remember the great work that Maple Team 1 accomplished who contributed to 421 hours of service! 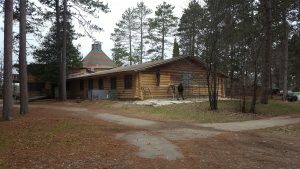 This fall we have continued our restoration efforts to our historic lodge that has been a founding symbol of camp for generations. 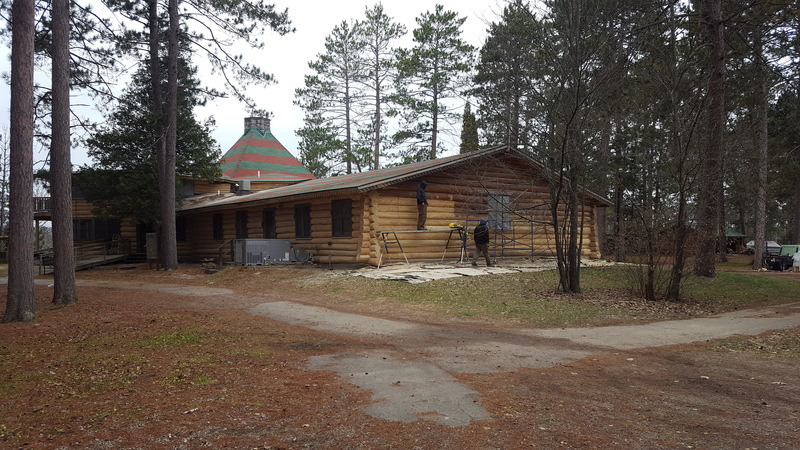 A team of sandblasters have been working diligently to remove the old paint on the Main Lodge and older cabins so that we can begin replacing the multiple weathered logs from over 80 years. After replacing they will be restored to the same color stain they once were matching the new cabins built back in the winter of 2013-2014. In September we participated in the St. Michael’s Chili Cook Off in Virginia for our second year. It was great to see many past campers and friends of the camp there tasting of 30 different chilis! We have also continued to work with our local nursing homes and their senior resident in providing a nice warm afternoon around the indoor fire place out at camp drinking coffee and enjoying some warm cookies and brownies. 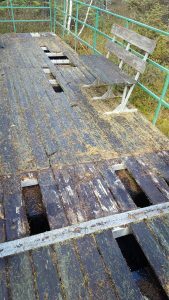 It has been a busy fall and winter season. We are are excited for the new year and what the rest of this retreat season will bring to Camp Esquagama! We are wishing our Camp Community a nice warm winter as we prepare for an even bigger and better 2019 summer!